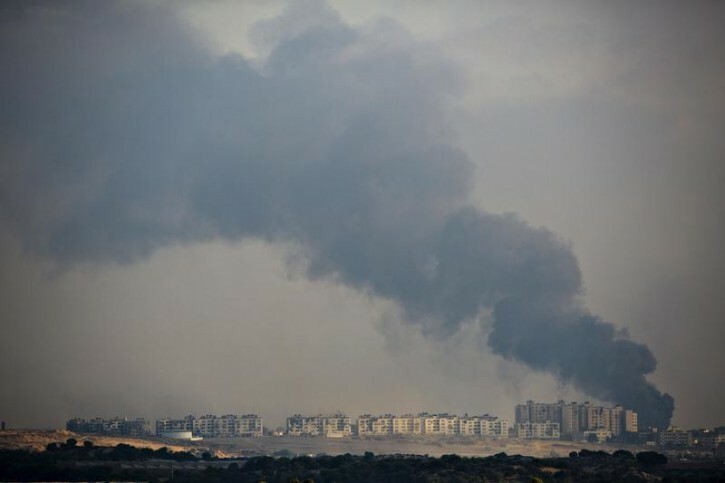 Gaza - Israeli fire killed at least 21 Palestinians in the Gaza Strip early on Wednesday as the Jewish state said it targeted Islamist militants at dozens of sites across the coastal enclave, while Egyptian mediators prepared a revised ceasefire proposal. Israel’s Channel Two TV said progress was being made to achieve a deal in Cairo, where a Palestinian delegation was expected to arrive for discussions. The terrorist group hamas continues to cause casualties. Will they ever learn to stop the hatred and violence? Such comments belongs to be written in Arabic, sorry Israel is there to stay and it needs to do whatever it takes to avoid its destruction. Too stupid to explain it to. Well I read where Israel is now "pounding""symbols" of Hamas authority. That is not good. Before Israel was saying ti was making targeted strikes against military targets. Perhaps those targets have been destroyed. Perhaps the Israelis have no idea what else to hit. This is not good. When angry young men with guns have no strict idea of what they can and what they cannot do, Bad Things happen. Insightful in that it is obvious from your comment that you have no clue. Are you by any chance a member of the Neturei Karta? Your reply to #2 is problematic - are you really dismissing as "Arabic" any comment that qustions the efficacy of the Gaza operation? Can there be no loyal dissent or questioning? I am a Jew who has friends with children fighting in this war...and who has family in southern Israel under rocket fire. At the same time I remember how the IDF walked out of Lebanon not so many years ago having taken it on the chin from Hizbollah...after much initial enthusiasm for how they were "...going to get..." Nasrallah. Now, after three weeks, I am beginning to fear that the stated objectives of the Gaza operation appear still very far from being met...and that the cost to Israel on the international PR front may wind up being very damaging. Am I allowed to express these concerns only in Arabic? Am I a "traitor," as one jerk labeled me last week for saying we should al pi Torah shed a tear for any wounded child? B"H for the free speech...and the American constitutional framework that protects us from government officials who would be as closed minded as you appear to be. “ Your reply to #2 is problematic - are you really dismissing as "Arabic" any comment that qustions the efficacy of the Gaza operation? Can there be no loyal dissent or questioning? I guess if they targeted your family on their way in through the tunnels in their planned attacks in September you would be singing a whole other tune....Who are you, are you even jewish...I doubt it. Can you read scutz? I raised concerns about the efficacy of the effort (too big a word for you?) - not the rightousness of the cause. And tomorrow at 5:00 AM I will be sure to tell my shiur chaverim that you question my yichus. What's more, my family has been targeted. As I was in 1981 in rock throwing incidents in Gaza going to and from Atzmona, then in Sinai.